This workhorse is cost efficient. It is versatile, expandable, heavy duty and easily serviced. Change from one type of bag or seal to another with virtually no downtime. 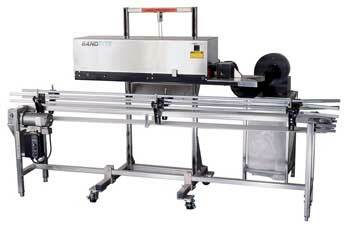 The conveyor is designed to move bags in conjunction with weighing, filling, sealing, packing and other related production operations. Conveyors are stainless steel, food-grade, water resistant belting and wash-down safe.